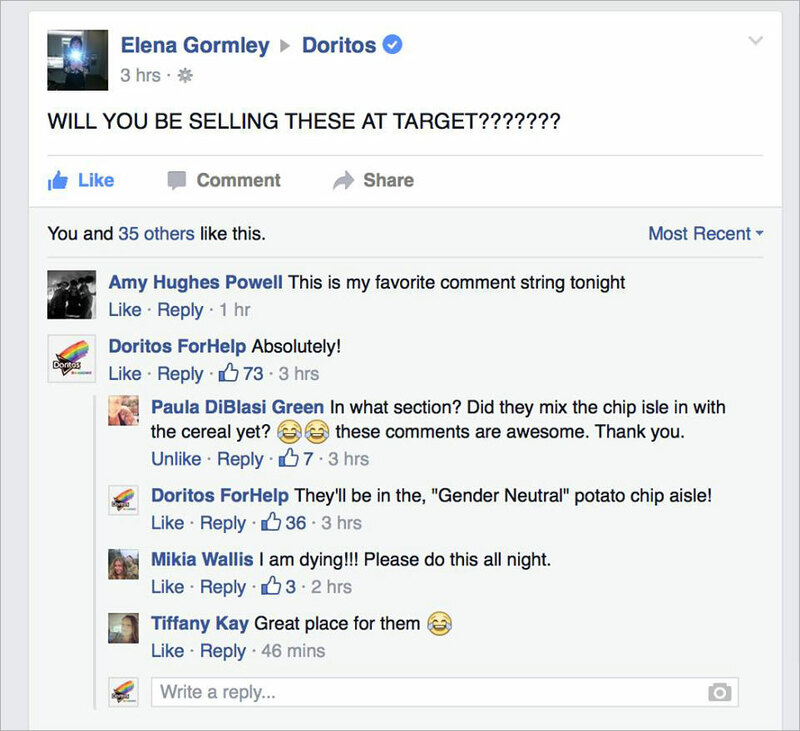 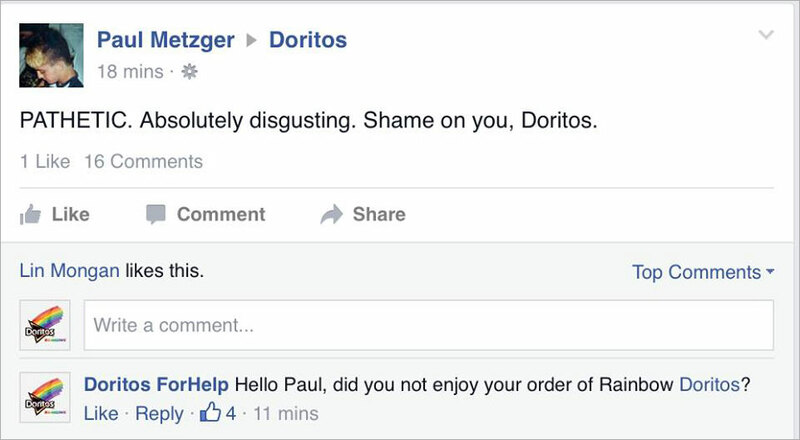 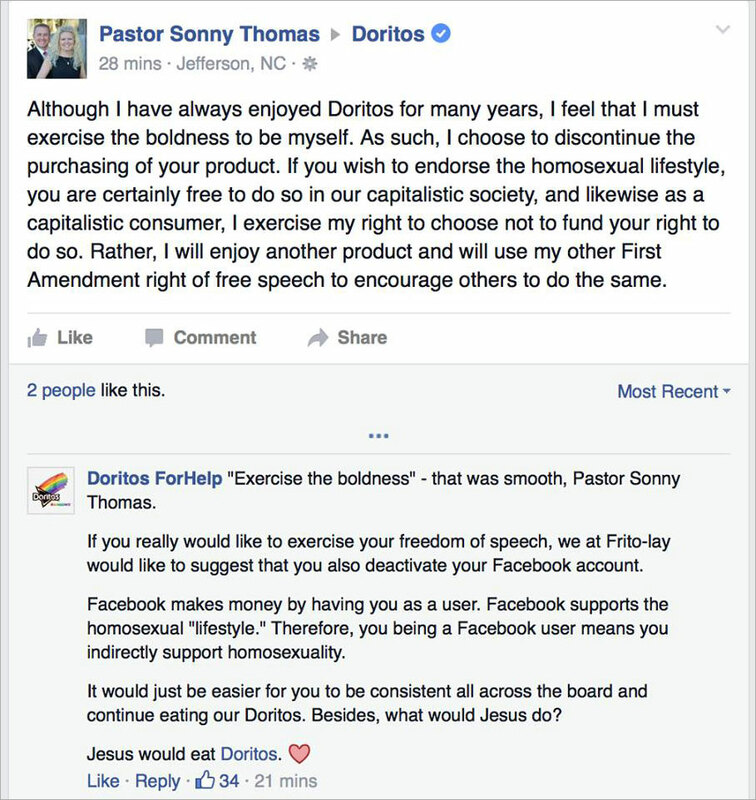 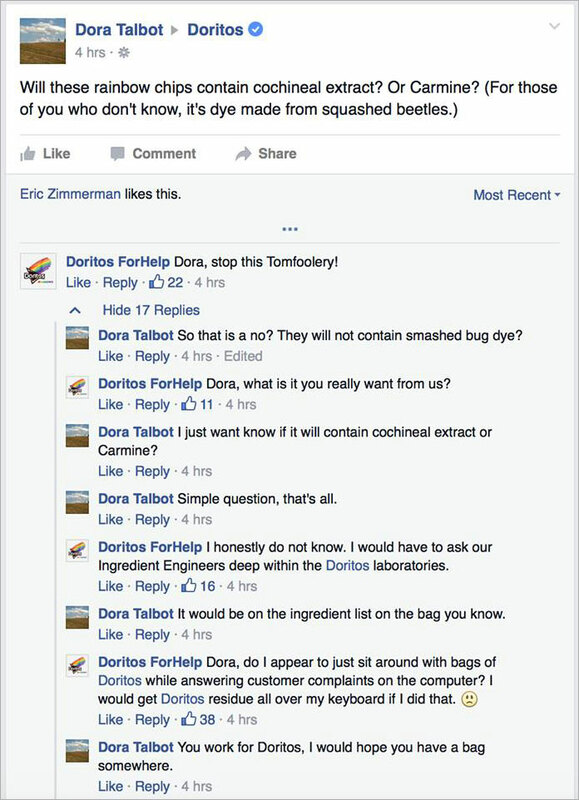 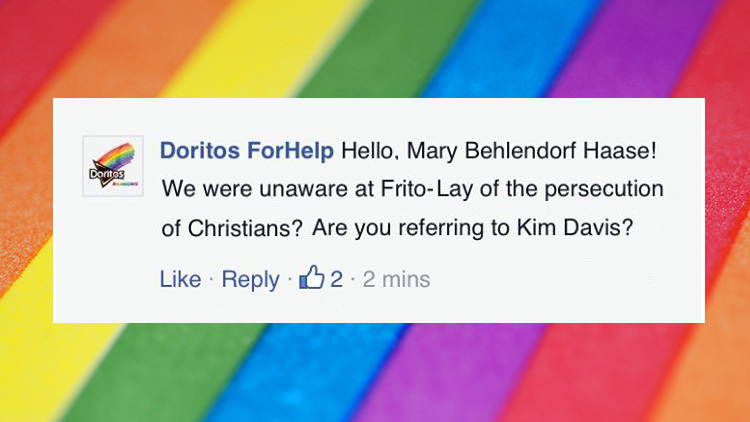 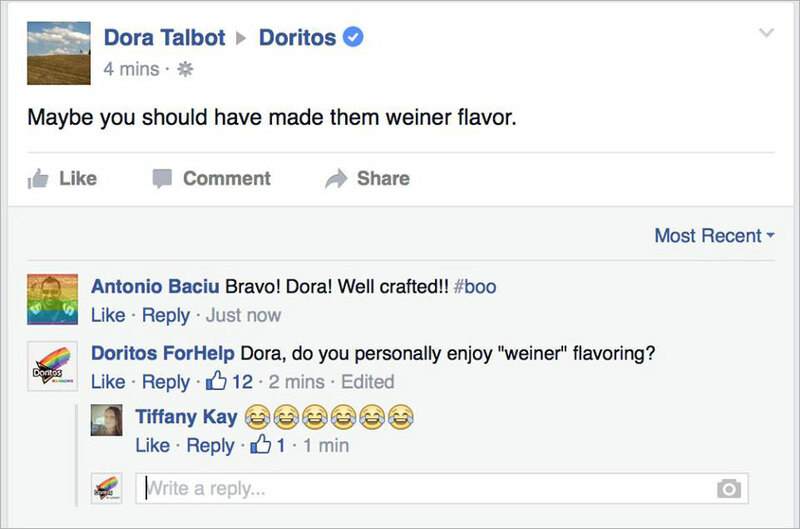 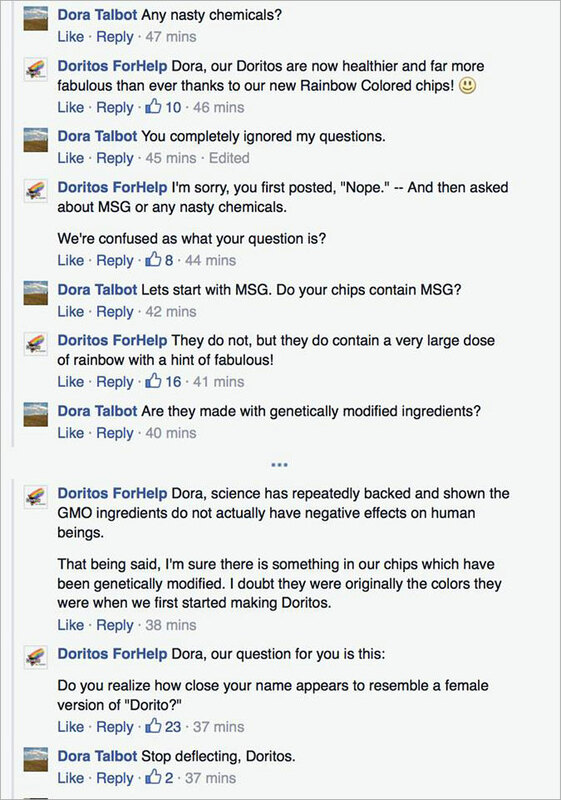 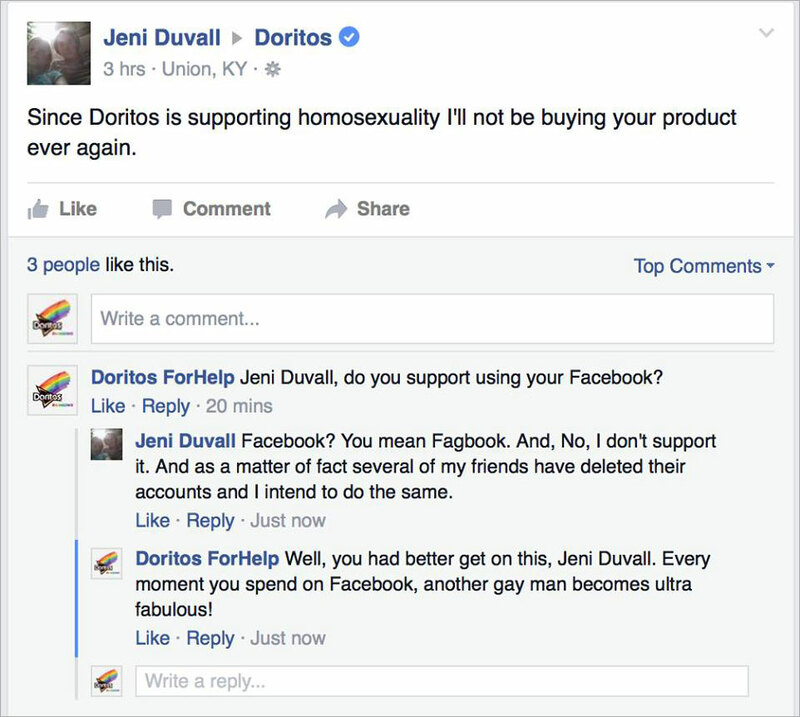 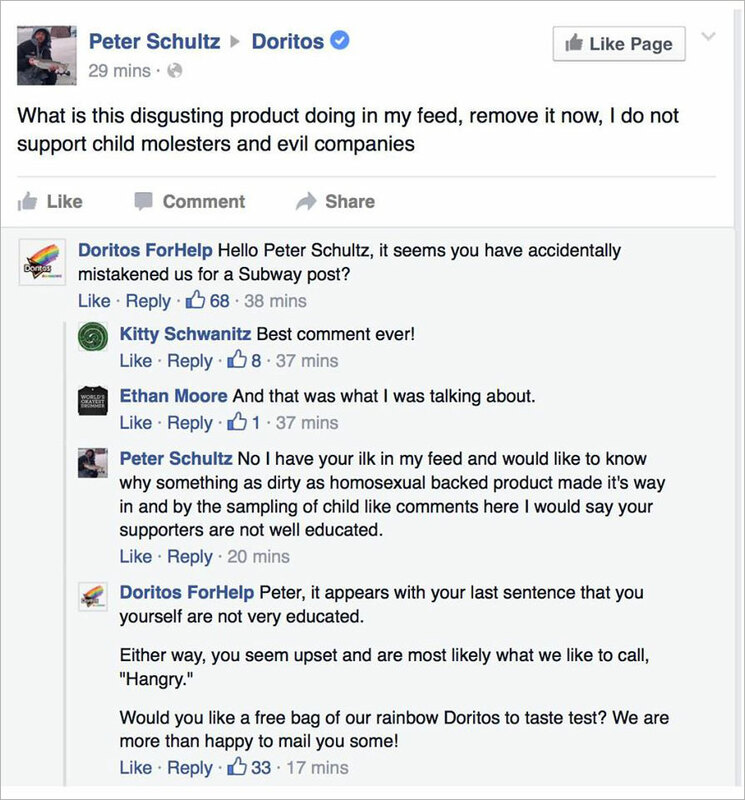 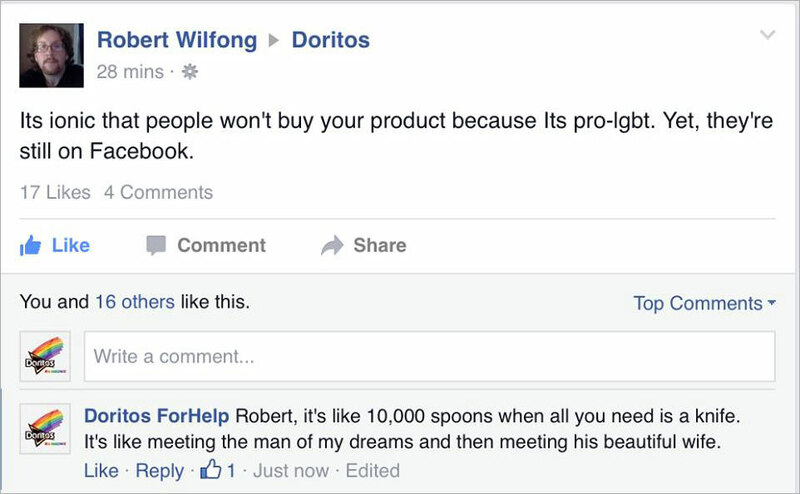 If you thought Target's haters were bad following the retailer's move to gender-neutral labeling, have a look at all the anti-gay critics swarming Doritos' Facebook page this week after the rollout of its LGBT-pride rainbow chips. 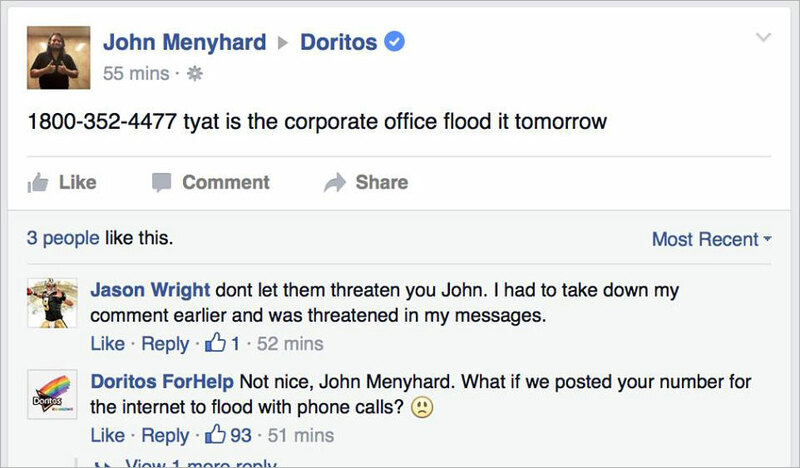 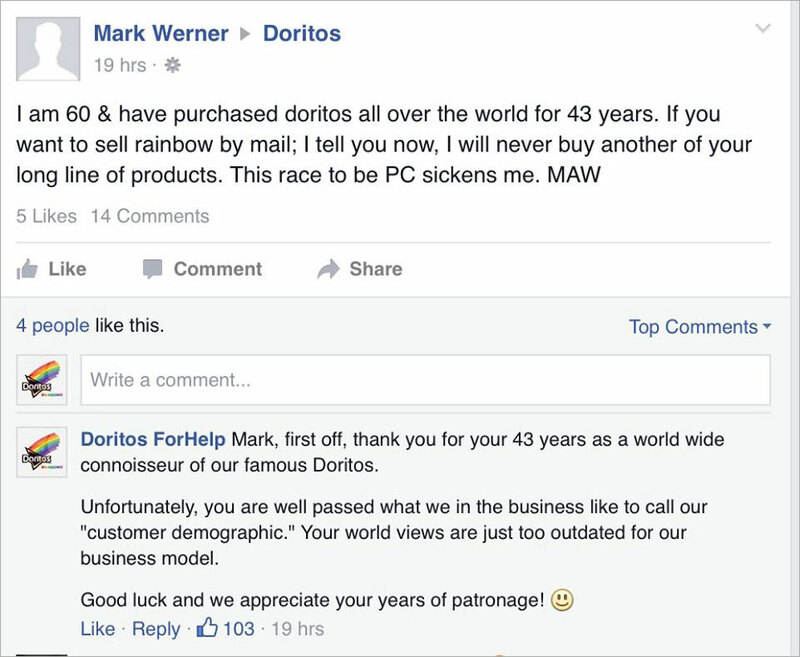 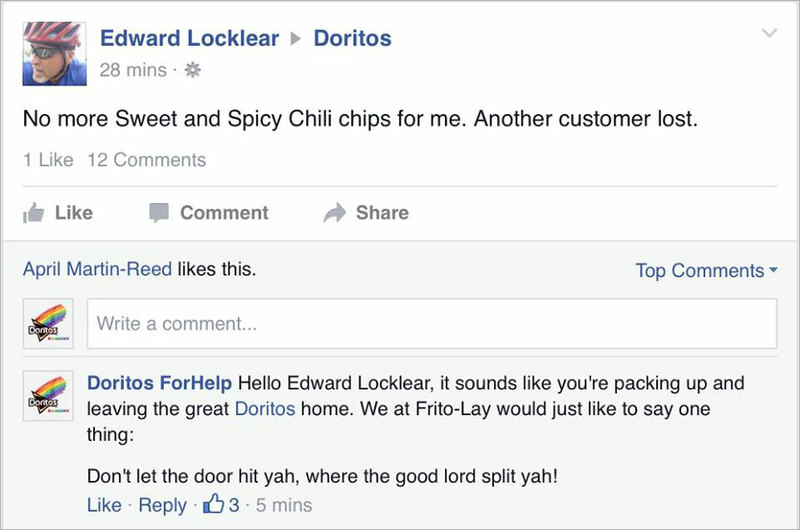 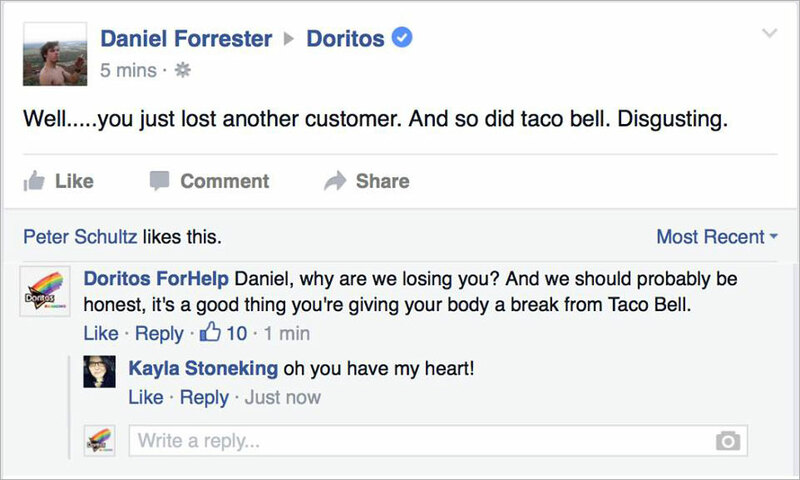 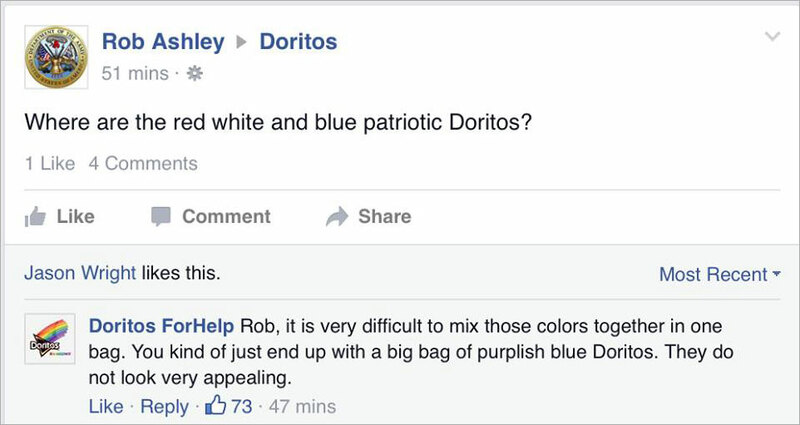 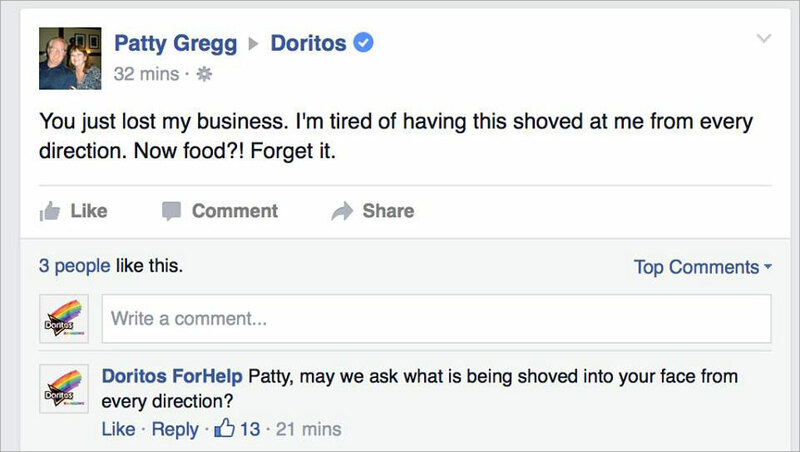 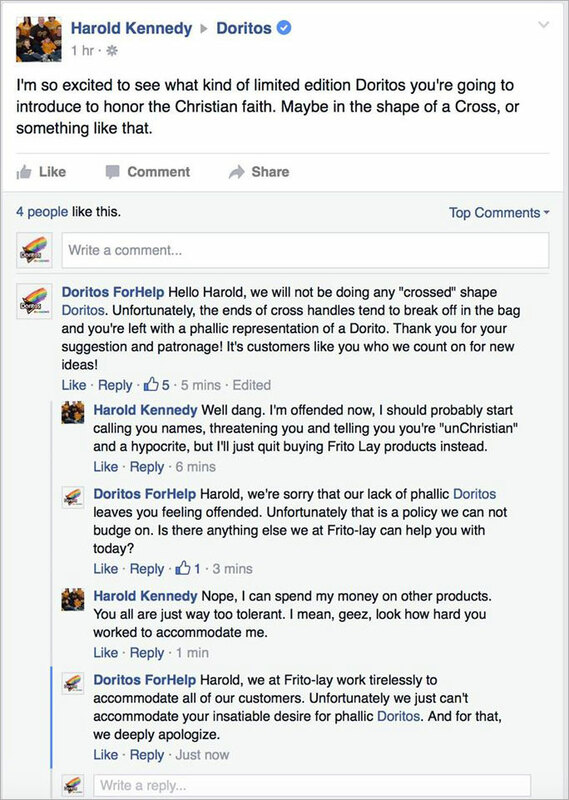 Who better to take them down a notch than Mike Melgaard, the guy who hilariously posed as a Target customer-service rep last month—and has now done the same on the Doritos Facebook page—to make epic, sarcastic replies to critics. 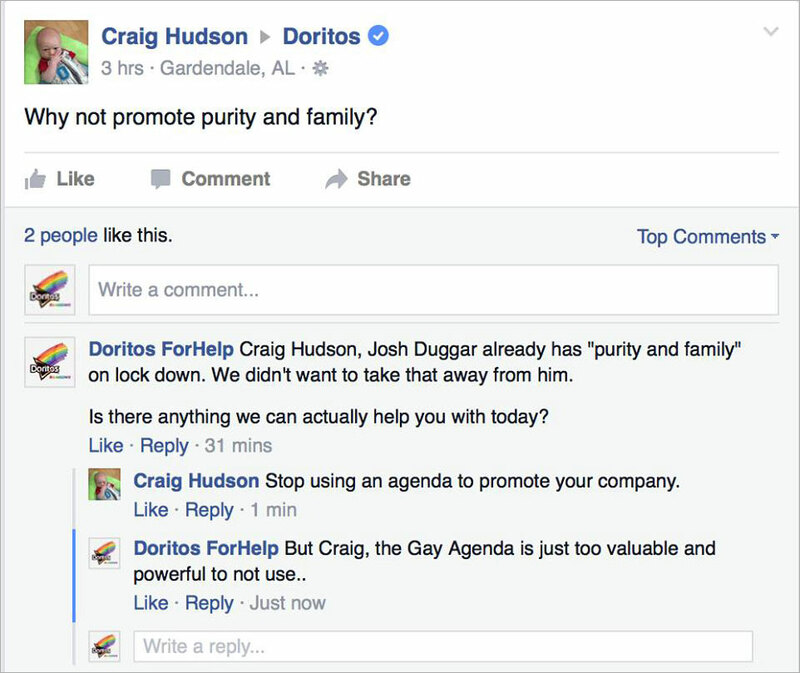 We caught up with Melgaard on Wednesday, and he agreed that the Doritos critics have been even more off-putting than the Target critics. 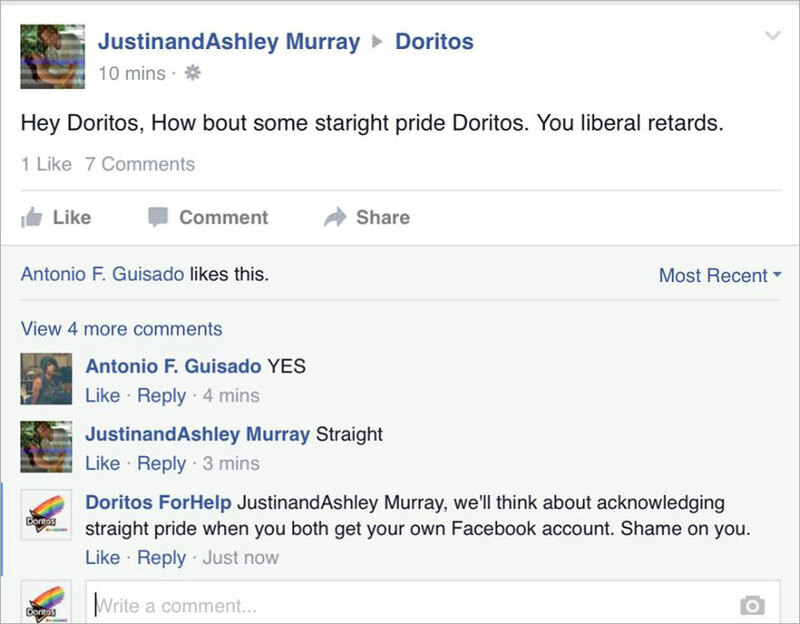 "I would say the Doritos critics on Facebook have definitely been far more offensive than the critics of Target," he says, "I have seen people saying some pretty hateful things towards the LGBT community. 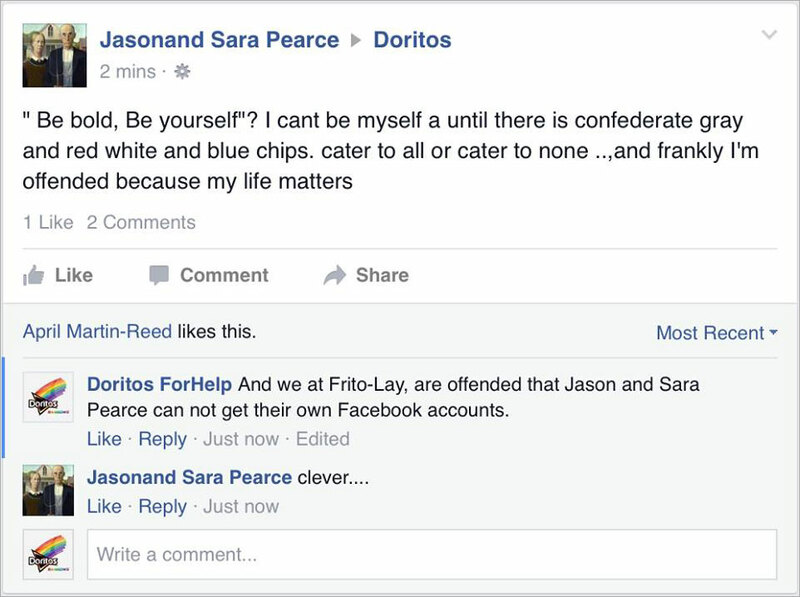 What's even worse is that these people are really offended for no reason whatsoever. 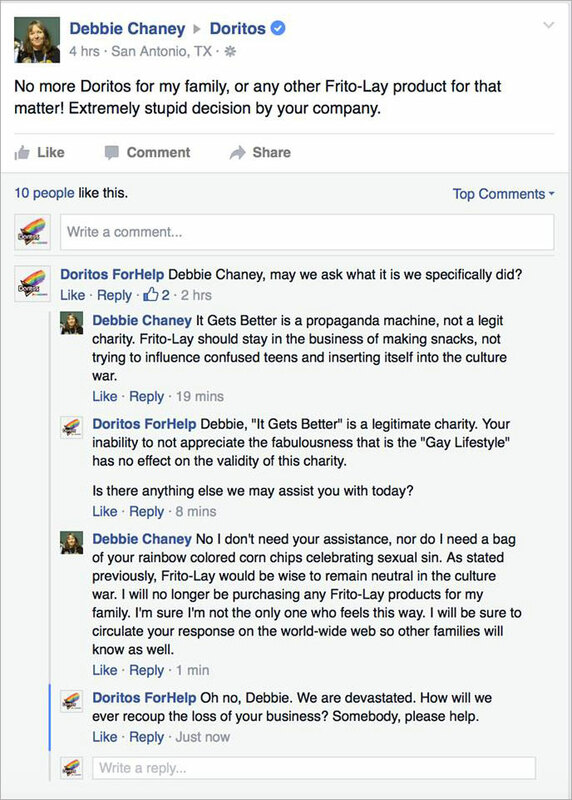 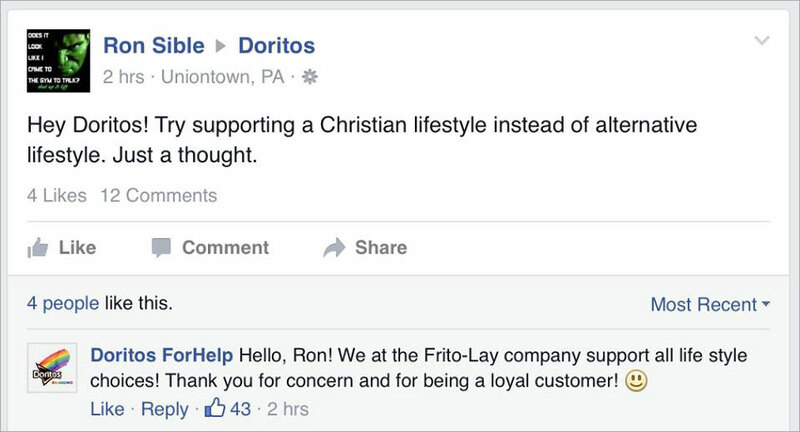 "Frito-Lay decided to allow anyone a way to voluntarily donate for a cause which aims to help prevent suicide in the LGBT youth. 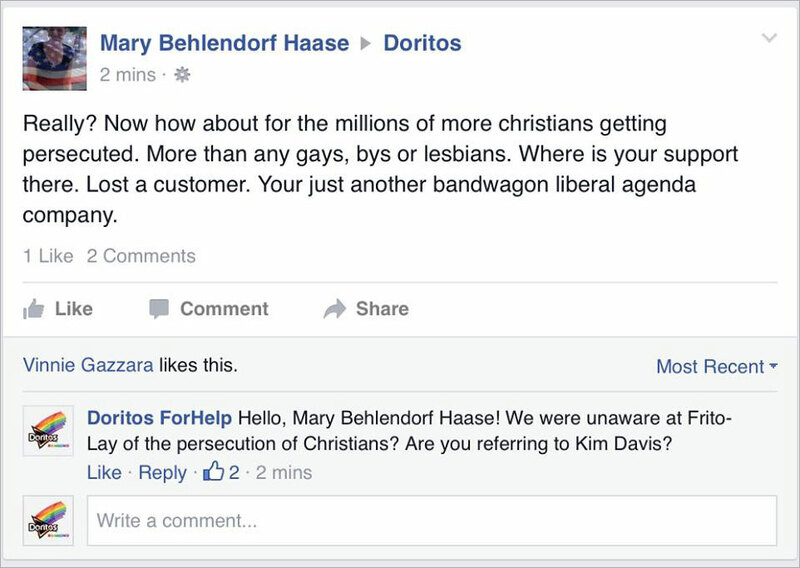 Some of the reactions make it seem as if an army of LGBT people have been unleashed into their private homes. 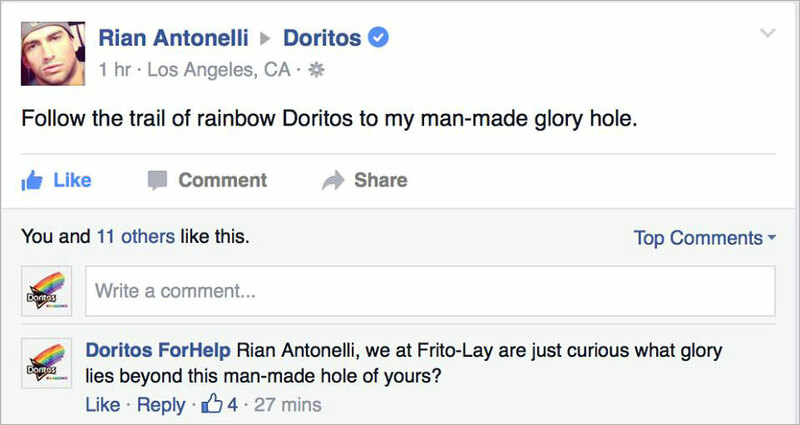 But I mean, this is America and I shouldn't be surprised that there is such a dramatic reaction over rainbow-colored chips." 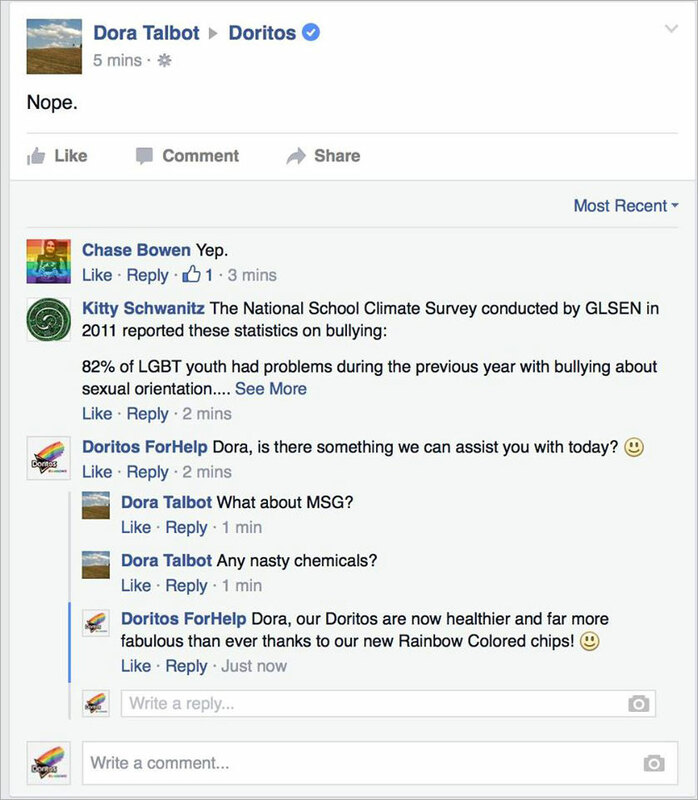 This latest round of trolling took Melgaard a collective total of about four hours. 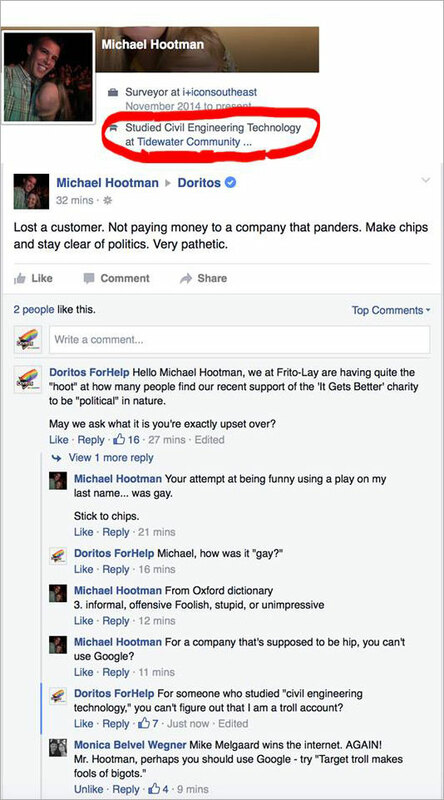 "I started on last Thursday evening and then finished it up Friday afternoon," he says. 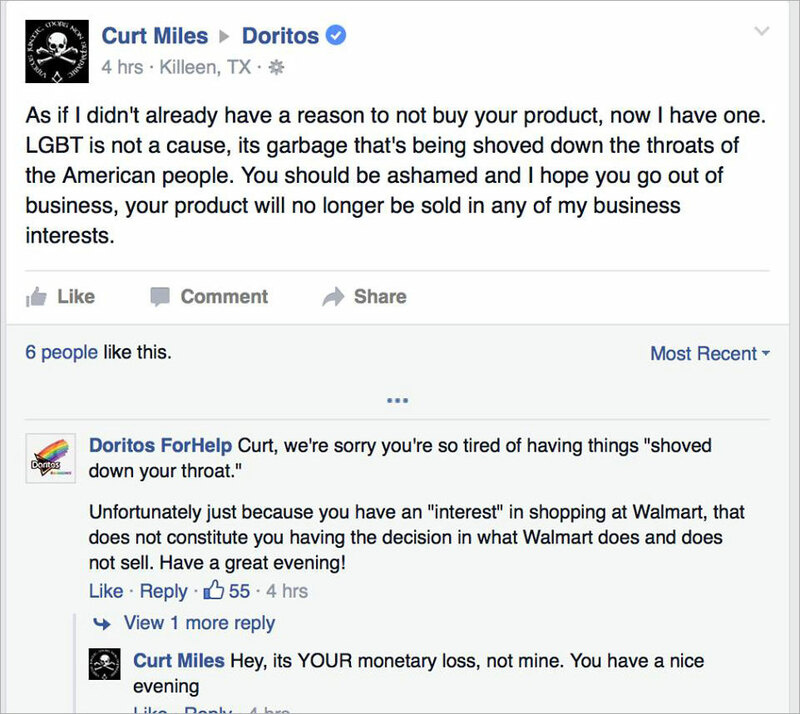 "But Facebook didn't shut my profile down until the following Saturday. 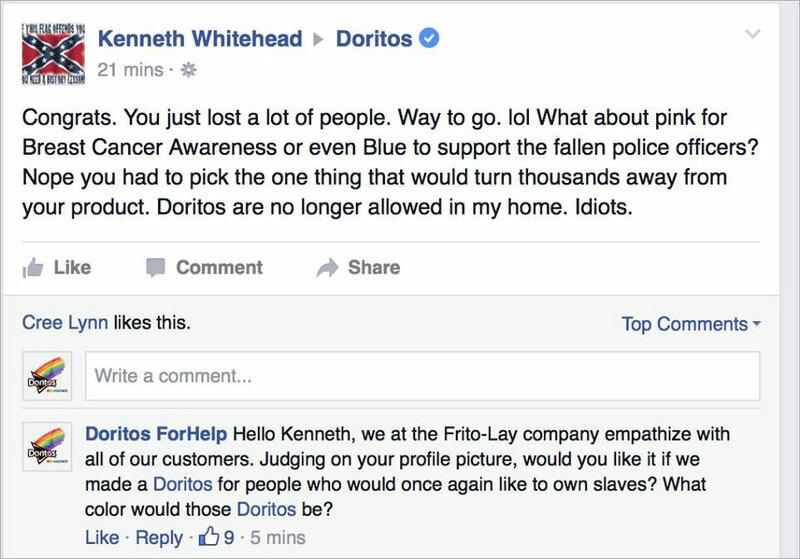 Honestly, I'm willing to bet I'd still have the profile if it was not reported by some unhappy users." 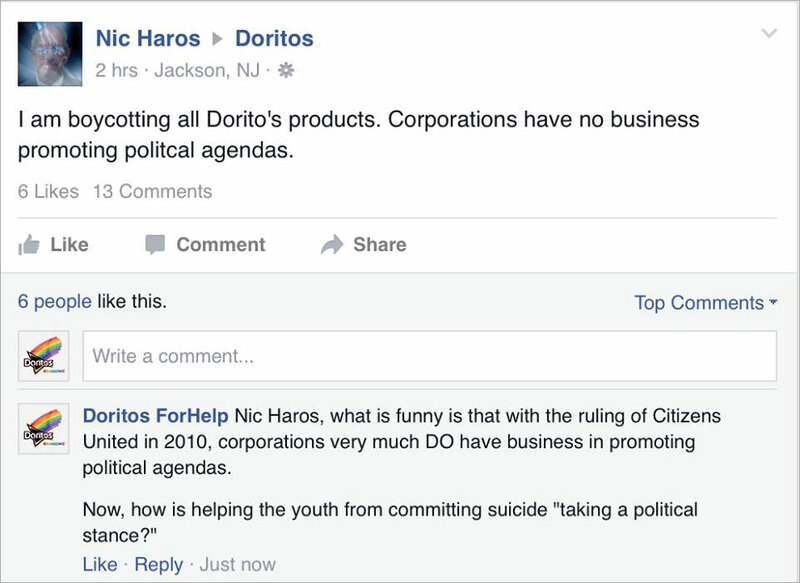 See the rest of his replies below.